W-Systems' engineers created a custom module that allows the administrator or user to schedule reports to be automatically emailed to any user. 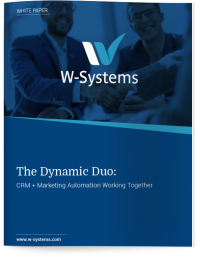 One customer that W-Systems implemented this for needed the ability to send Sales Representatives weekly status reports on sales forecasts and opportunities. The administrator also wanted the ability to have reports automatically generated and emailed to him. SugarCRM's reporting module has a clean and easy to use interface that allows users and managers to track performance and turn data into actionable information. W-Systems expanded on this by creating a custom module for "Report Schedules". The new "Report Schedule Create Form" allows users and administrators to schedule a report to be emailed on an hourly, daily, weekly, or monthly basis. Additionally, it has the ability to send the report at a specific time and day to any system user. With this new module, the administrator or the user has the ability to control who gets which report. Also, the client can easily necessitate this functionality and decide how it will work. By automating the reporting function, the client was able to better track the progress of Sales Representatives, communicate consistently with users, and more easily track the progress among various functions of the business. For more information on the reports scheduler module contact our team.